A 2012 survey of consumer channel habits and preferences found 77% preferred to receive permission-based promotions via email; only 6% preferred such messages via social media. A similar survey of UK consumers found 69% with a preference for email as the channel for brand communications. 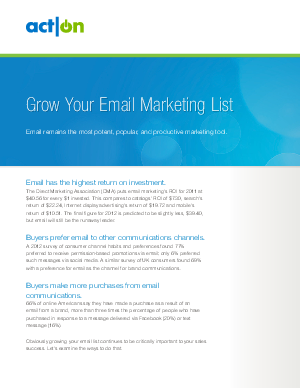 Read this white paper to learn why email remains the most potent, popular, and productive marketing tool.